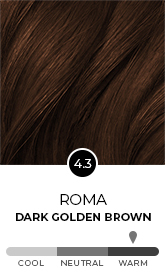 Messina is a natural dark rich brown blended with red and purple to give a dark saturated mahogany colour result. The merlot wine finish is based on the dark reddish brown with a smaller amount of violet added to the colour base, with a vibrant glossy deep finish. 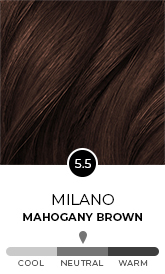 The warm burgundy red reflect in this colour is a fresh, bold and bright twist on a classic brunette base.